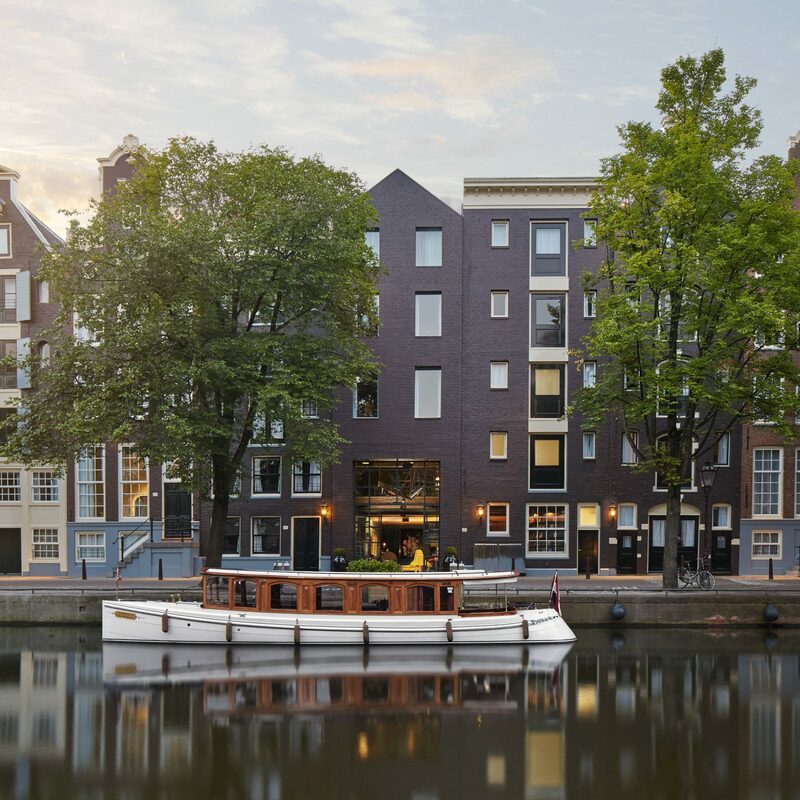 Dutch creatives scored a refreshing new haunt when this canal-side club opened for business in 2018. 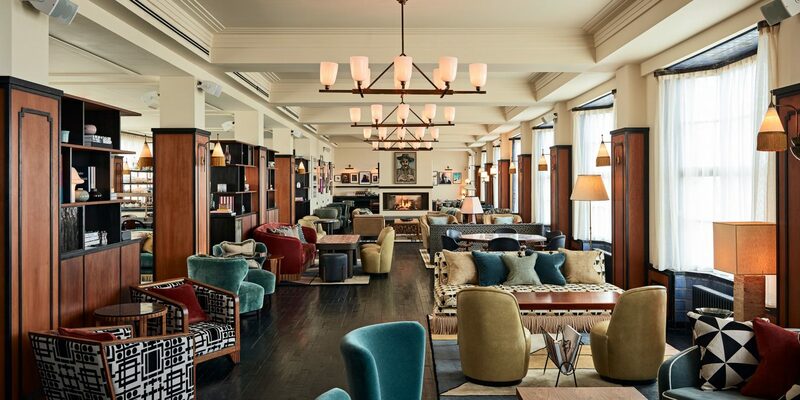 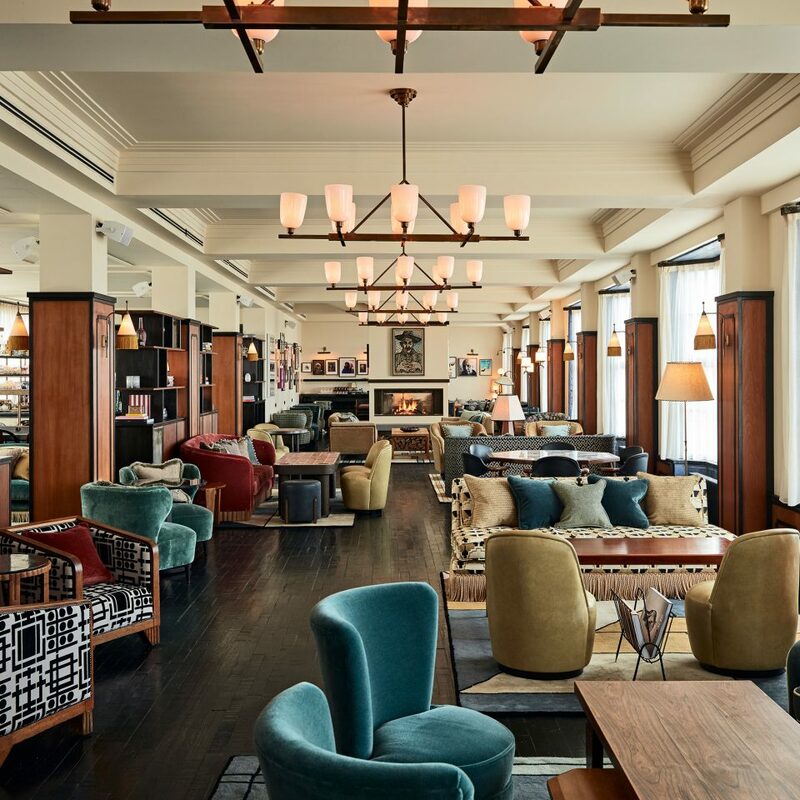 Housed in a six-story limestone and granite stunner (a university building that once functioned as a trading office), the 79-key hotel wows with its convivial common spaces—including a 360-degree view rooftop, a spacious house kitchen, and an in-house cinema strewn with velvet armchairs. 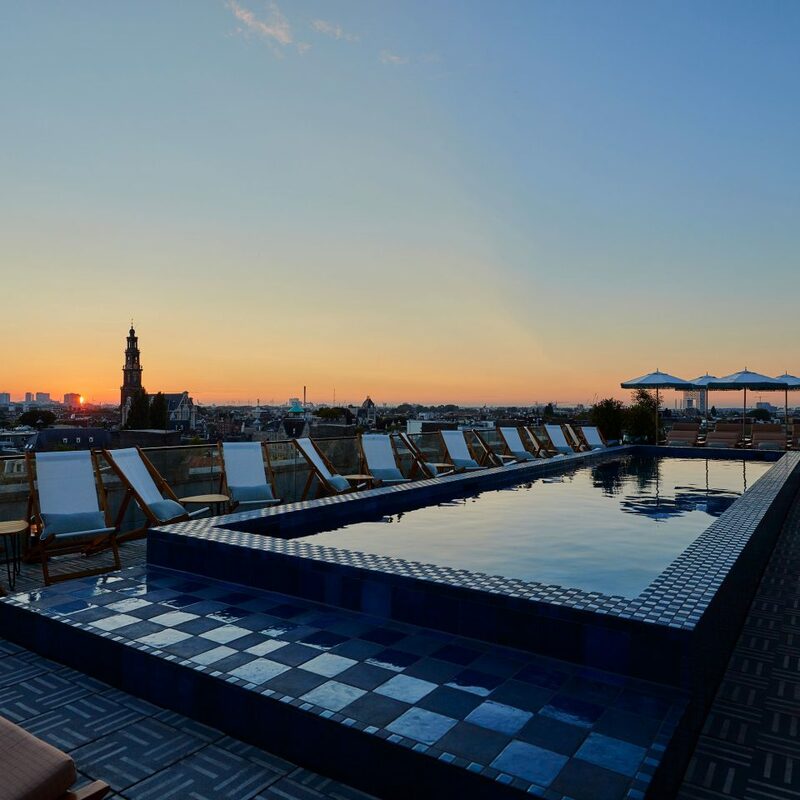 Rooms, which range from Tiny to XL Monumental in typical Soho House form, tip hats to their laidback host city with waterway-inspired palettes (blue and seaweed-green) and bespoke headboards fashioned to mirror canal bridges; bonus amenities, such as flip-flops, phone chargers, and hot-water bottles, add a homey warmth. 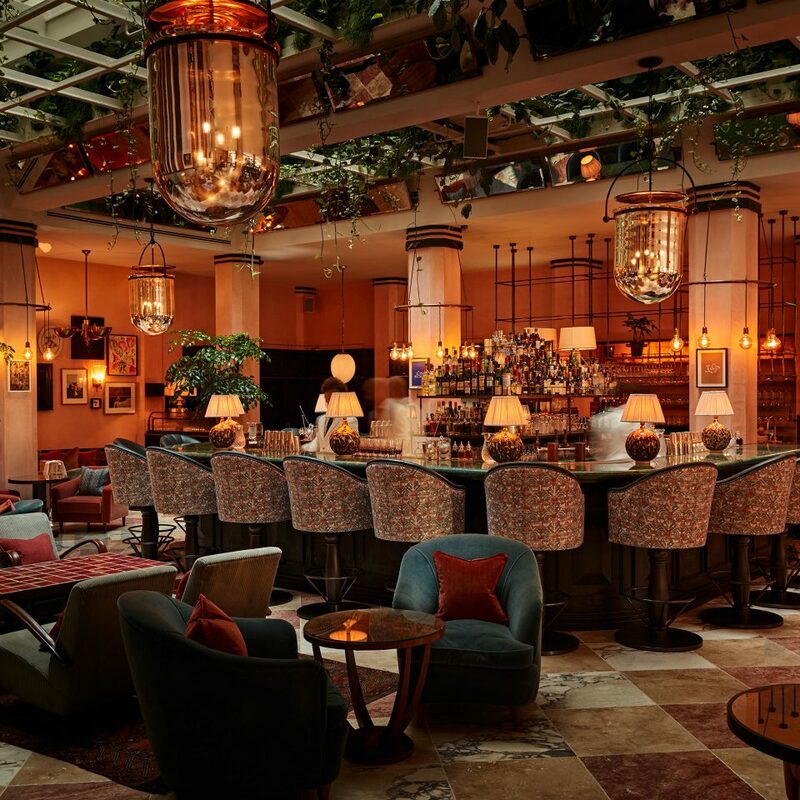 Choose from a full range of Cowshed shower gels, massage oils, and shampoos in the Art Deco-esque bathrooms, or simply head to the on-property Cowshed Spa (one of the few hotel spaces that is open to the public) which also includes a clutch of barber chairs for some next-level TLC. 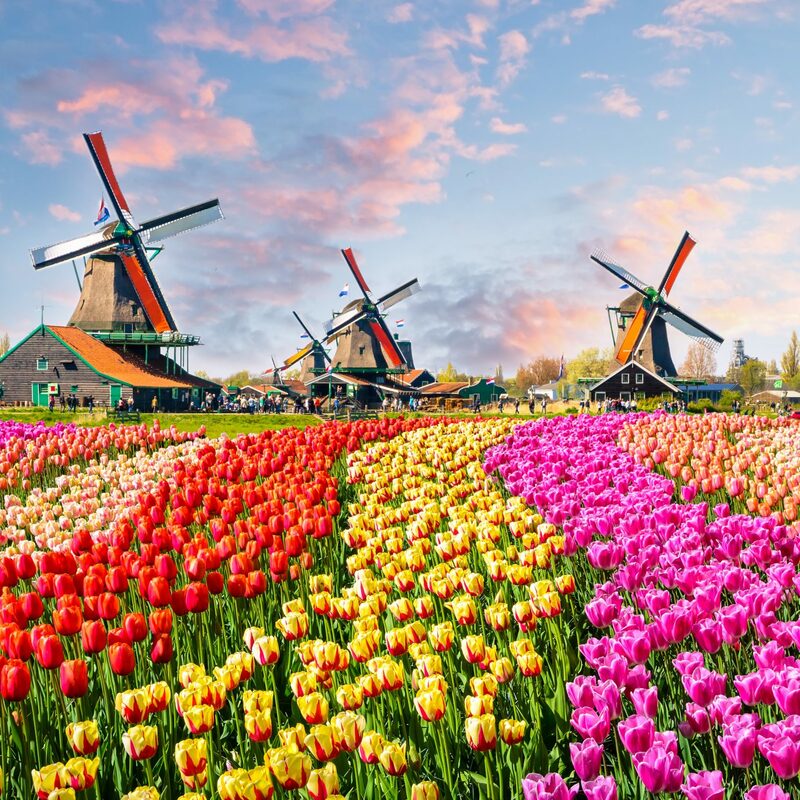 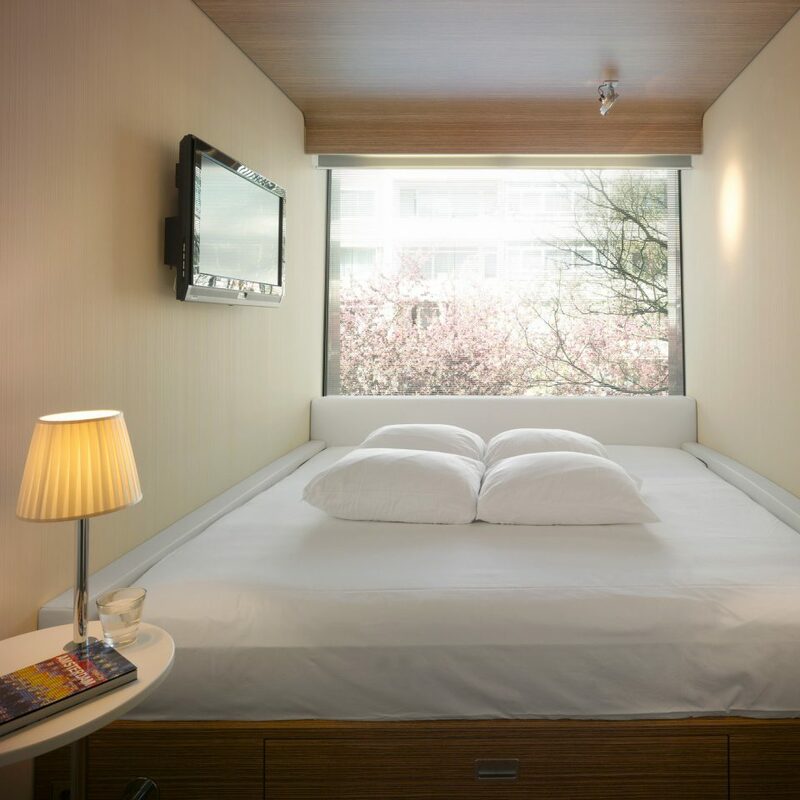 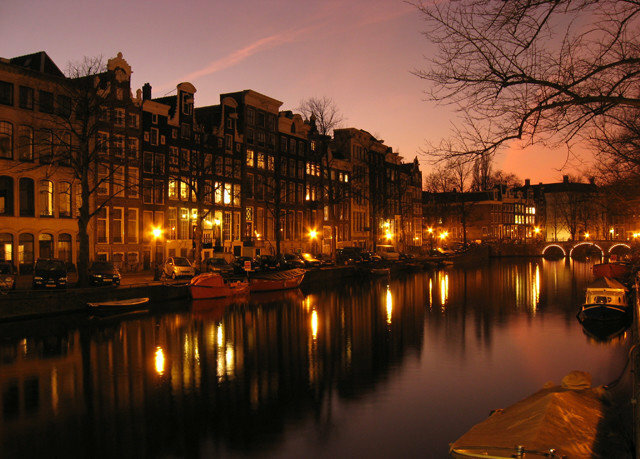 The hotel is just ten minutes from Amsterdam’s Centraal Station, the city’s largest railway hub. 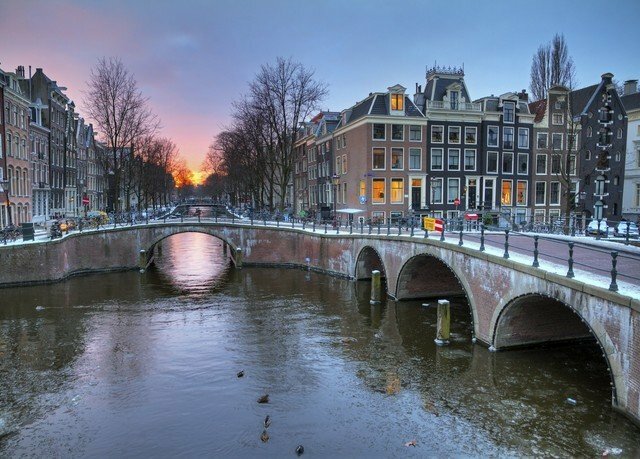 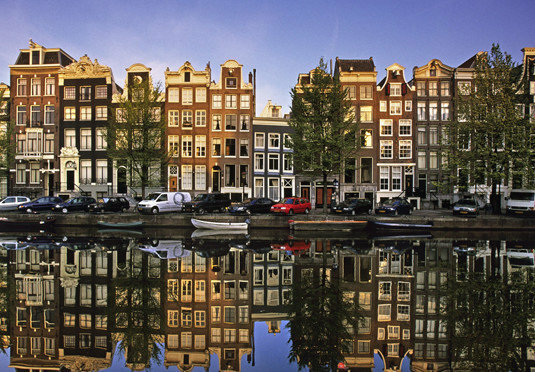 Close attractions include the Dam, a bustling 13th-century square, originally constructed to prevent the city from flooding, the Anne Frank House, and the Negen Straatjes shopping neighborhood, where you’ll find rows of townhouses-turned-showrooms housing local clothing boutiques like The Darling and Anecdote. 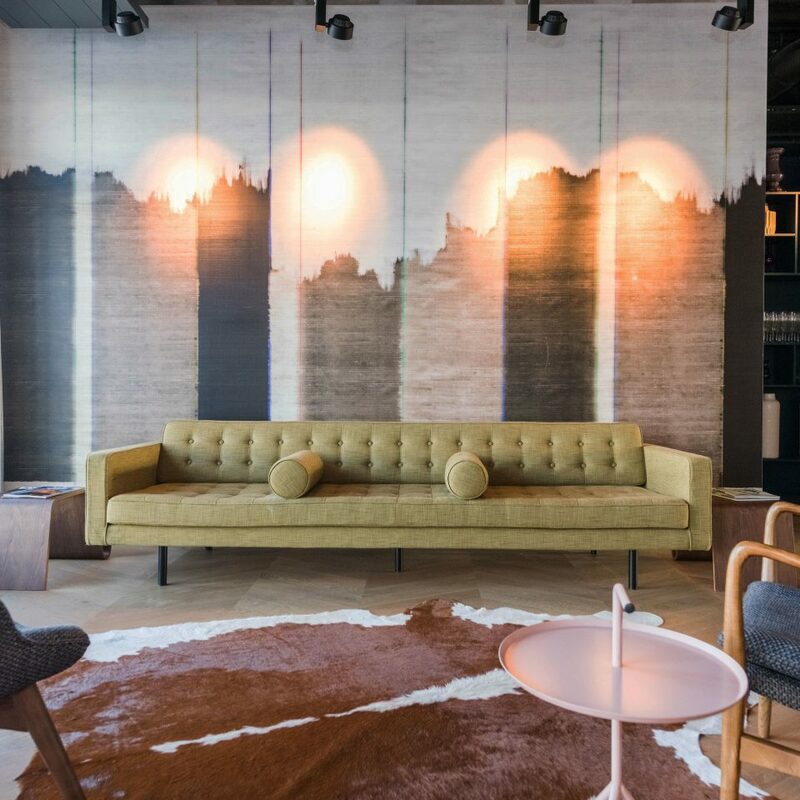 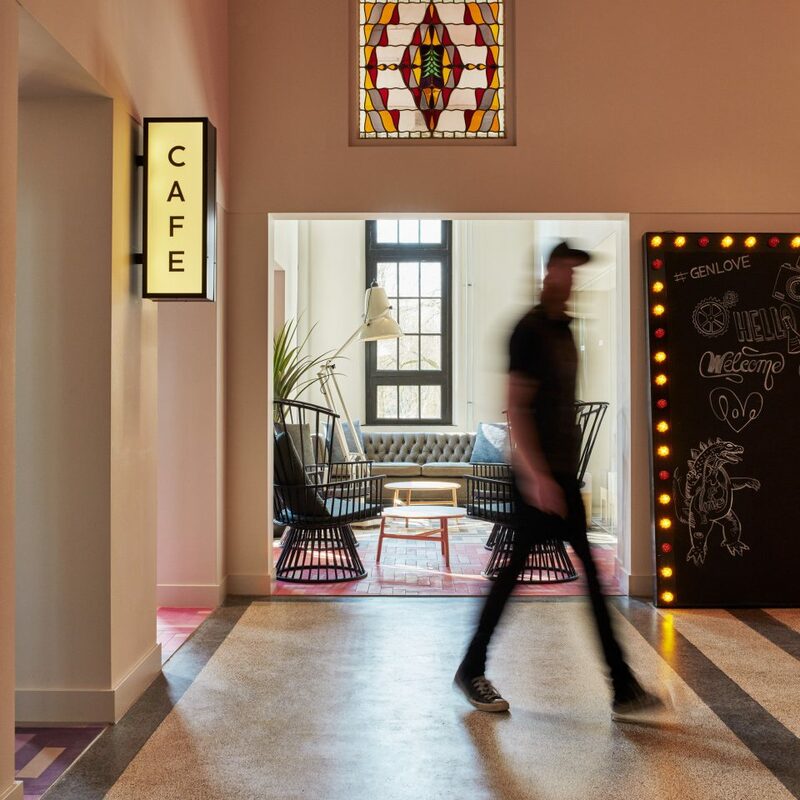 Though the hotel’s rooftop bar means you’re already at one of the city’s most sought-after watering holes, you’re also near Amsterdam’s formerly industrial western pocket, which now includes happening hangouts like Warehouse Elementenstraat, a peanut factory-turned-club.